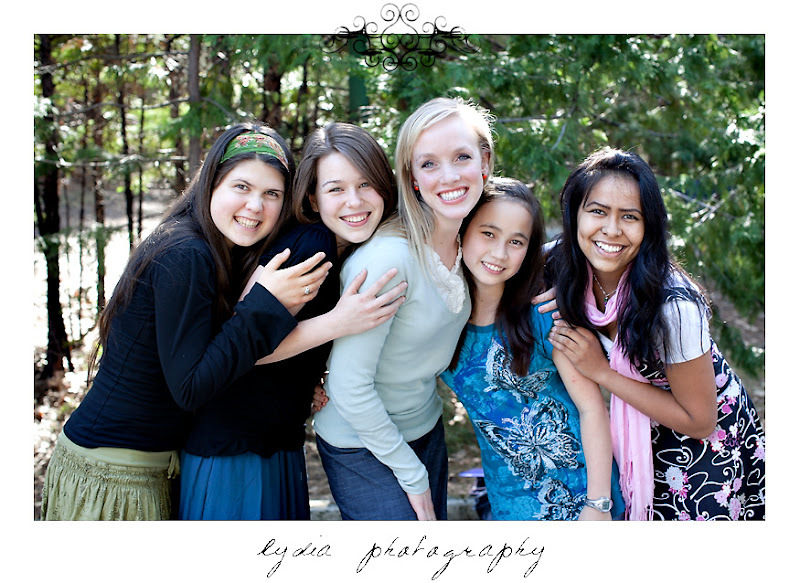 This past weekend a girls' conference was held in Grass Valley, and I was invited to come and help document friendships and mother/daughter relationships. While I couldn't attend the other two days as I was at a youth conference (post coming! ), I so enjoyed being able to spend time catching up with old friends and meeting new people! What a cute shot of all those familiar faces! :D Missing you! I love those gorgeous smiles. Sensational!